My name is Jessi Galindo, born and raised in Del Rio, TX. 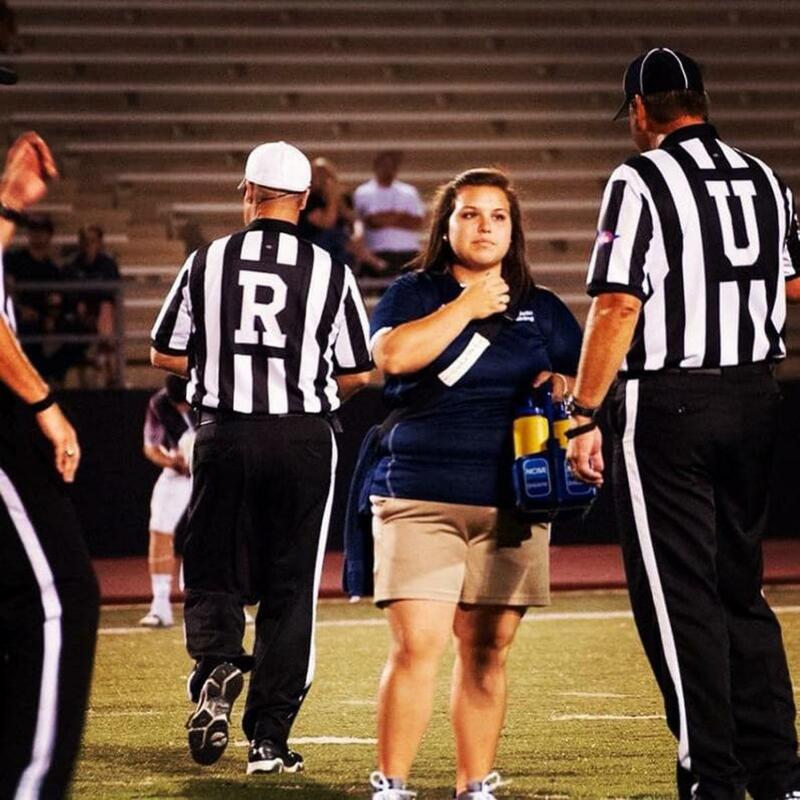 I graduated from Del Rio High School in 2011 and went on to Howard Payne University in Brownwood, TX, where I graduated with a bachelors in Athletic Training, and am a Licensed Athletic Trainer. My current city is Brownsville, TX where I work at Rivera ECHS, as well as cover 2 junior high schools, Dr. Juliet V. Garcia and Louise Perkins. I am a member of the Valley Athletic Trainers Association (VATA). This is my 2nd year as a professional and have a total of 9 years of student experience. I became interested in Athletic Training as I went into high school as a freshmen where I worked under Brad Dixon and Alan Davis as a student athletic trainer for DRHS. I’m originally from Del Rio, but came to the valley accepting my current position with the hopes to grow and learn as an Athletic Trainer. As an a student athletic trainer at HPU, I traveled to SE Asia twice in the summer of 2013 and 2014. A lot of my favorite memories were working overseas and my high school student athletic trainer experience. Never let someone determine what you want your career to be and stand your ground. Be confident in yourself and your decisions. Not every situation and injury is going to be the same and it’s ok to be wrong. Trial and error is how we learn. Ask questions and never apologize for wanting to learn and better yourself.